From real estate to renovation to simply redecorating, feng shui is gaining popularity in the west as a way to consciously shift your environment in a positive way. Many people believe that feng shui is just a concept of furniture placement, but in reality, it's a deep, philosophical practice around creating a sacred space that nurtures your very being. Sounds complicated, huh? It can be, but some parts of feng shui are very simple! If you're new to the world of feng shui or just beginning to make some much-needed changes, try these easy adjustments first. They're powerful, effective and easy for anyone to understand! This concept may well be one of the most important in the practice of feng shui. When setting up your space, place the main pieces of furniture (namely your bed, stove, sofa, etc.) so that you can see the door. The ideal placement, called the commanding position, is diagonally from the door (not directly in front of it), in the furthest position, and facing the door. This comes from ancient Chinese safety measures as well as the psychological effects, even if only long term, of not being able to see what's coming towards you. Having major furniture (bed, desk and stove) such that you are located in the commanding position enables you to be prepared for what life brings you! Adding plants to a space is a wonderful feng shui remedy. Plants represent new life-affirming energy and growth and cultivate compassion, kindness and human-heartedness. Not only are they excellent (and easy) feng shui adjustments, adding green plants to your space can help offset the toxic VOCs found in most indoor environments. Plants can beautify your space, add the Wood element and clean your air, and many of them, like bamboo and orchids, have even deeper symbolism in feng shui. Just remember to opt for softer, rounded leaves over spiky, pointed ones! One of the easiest ways to welcome positive energy into your space is to make sure the entrance is attractive and clean. Plus, who wants to come home to a dirty door or entrance? For this adjustment, just spend a few minutes assessing your entrance area and cleaning your door. Check to be sure that the door is wiped down, buzzers and doorbells work and, if you'd like, add a clean welcome mat to invite positive energy (and you!) into your sacred space. This feng shui remedy may be the easiest, but most powerful of all! It's one of the first adjustments I did when beginning to study feng shui. Each day, for 27 days, do a good deed for someone else. Why 27 days? It's a multiple of nine, which is the most auspicious number in feng shui! This adjustment helps you to put positive energy out into the universe, which in turn brings it back to you! As you look further into the practice of feng shui, you may find you want to make more adjustments. 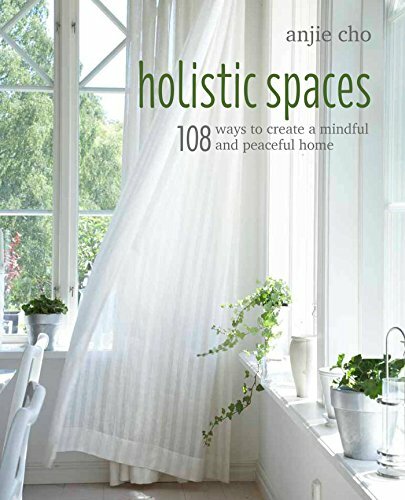 Some of these are relatively easy and can be done with guidance, like from the Holistic Spaces blog or my book, 108 Ways to Create Holistic Spaces! For others, you'll want to find a feng shui expert who suits you. No matter what, I encourage you to take a deeper look into the amazing philosophy of feng shui!